Another year, another Dakota Combo. 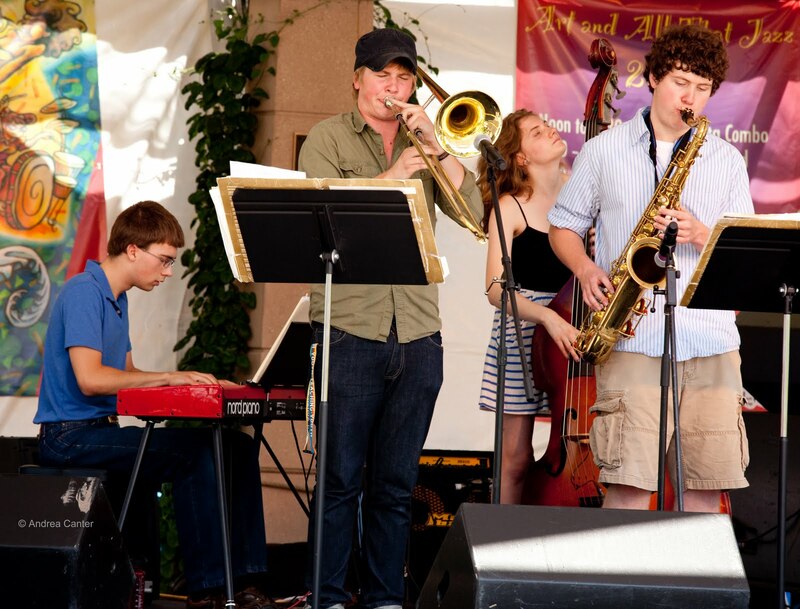 Every September (since 2006), the MacPhail Cener for Music and Dakota Foundation for Jazz Education have joined forces to bring an intensive year of jazz studies to a highly selected, small ensemble of the area’s top high school jazz artists. 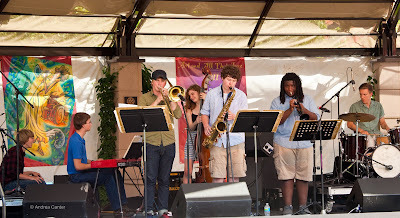 And every summer, there’s that final performance of the Combo, the summation of their months of rehearsal, clinics, and performance –with directors Kelly Rossum (2006-2009) and Adam Linz, with guest artists like Bobby Watson, Delfeayo Marsalis and Tia Fuller, and most of all, with each other. Teen athletes in most sports have a ready peer group at school, 30 or more like-minded teammates. And perhaps hundreds more fellow students who actively cheer on their accomplishments, not only at games but as part of the social fabric of their schools and communities. But students whose passions lie outside the mainstream—be it as sculptors, actors, classical violinists, poets, or jazz musicians—generally lack that available cohort. Providing an ongoing supportive learning environment for exceptional jazz students was the goal of the Dakota Combo, in addition to filling the need for the small ensemble experience and instruction rarely available in school and community music programs. 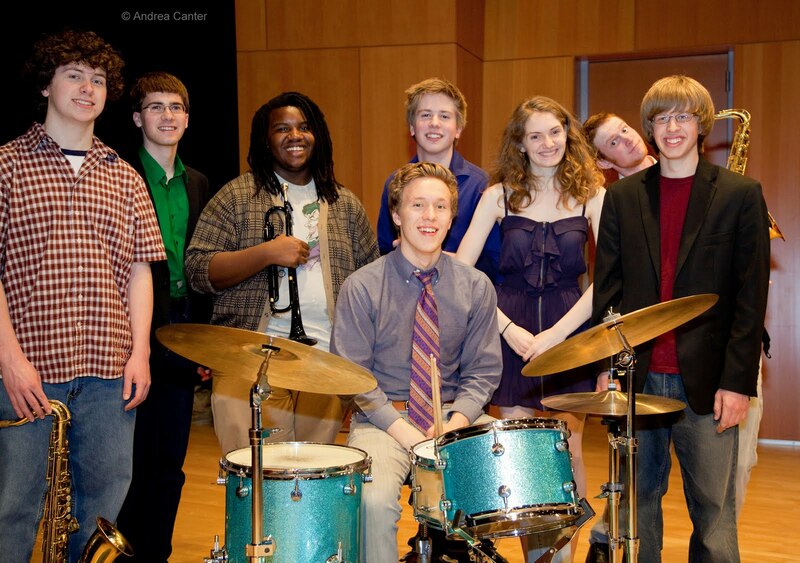 Of course, through school bands and summer jazz camps, student musicians do find each other, sooner or later. They form their own bands, seek out their own gigs. Some are very successful. But typically these groups are also on their own for learning –the critiques, the demonstrations, the feedback that can be as essential for artistic growth as performance experience is missing. The Dakota Combo has offered young musicians the best of both worlds---guided learning, immediate feedback, professional models coupled with the intimacy of peer collaboration and support that quickly extends far beyond the scheduled rehearsals and performances. I’ve been able to observe the development of each Combo “family” by attending rehearsals, clinics and gigs throughout each Combo year. But even without that background, you can’t miss the importance of peer support and interaction when the band performs. You can hear it. You can see it. You can feel it. And I have never heard, seen or felt that as strongly as Saturday afternoon, when the 2010-2011 edition of the Dakota Combo took the stage together for the last time, just days before the six recent graduates head off to college. It was the longest Combo “season” ever, running from auditions last September through the late August Burnsville Art and All That Jazz Festival. Perhaps it was that extended summer –filled with festival performances for the band, private gigs, jazz camps and individual studies for the musicians—that added some extra sparkle. Or maybe it was just that extra momentum that comes when you celebrate the completion of a life-changing experience. Adam thought the Combo gave its best performance of the year. Having heard nearly all of those performances, I have to agree. They were in sync. They were stoked. This was no longer a bunch of talented kids but a band of young professionals playing with confidence and a joyful freedom just this side of recklessness—defining characteristics of modern jazz. From the opening exuberance of pianist Quentin Tschofen’s “Spleen” to the last notes of Charles Mingus’s “Goodbye Eric,” the Dakota Combo was on fire, ignition provided by the spontaneous combustion of musicianship and friendship. “This has been a life-changing experience for him,” noted one parent. And another parent noted the invaluable opportunity this year for the band to travel to New York City, one of 12 invited high school bands to play and compete in the Charles Mingus High School Band Festival and Competition. The band worked for weeks on their repertoire of challenging Mingus compositions, Adam reminding them that the goal was not winning, but doing justice to the music and having fun doing it. In New York, the Dakota Combo won the Mingus Spirit Award. Some regarded it as on par with “Miss Congeniality.” And it’s hard to know if the intent of the award was to recognize the demeanor over the talent of the chosen band. But the Dakota Combo indeed embodied the spirit of Charles Mingus, a free-thinking composer and bandleader who would have thoroughly loved the informality, playfulness, and mutual respect of the Combo, traits Adam Linz reinforced all year. The Dakota Combo and similar programs in all arts and genres give our most talented teens their own community where they need only be themselves. And every year, for this small group of jazz musicians, the intensity of instruction and peer interaction, as well as unwavering family support, allows them to become superior artists and confident young men and women. Even if they do not ultimately become professional musicians, the Combo Class of 2011 will always invoke the spirit of Mingus—inventive, adaptable, collaborative, joyful, passionate. And for that we should have a line of cheerleaders and a big pep rally.